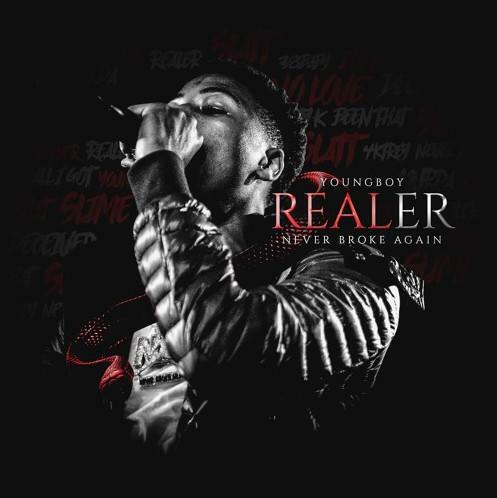 Home>New Songs>YoungBoy Never Broke Again Songs> NBA YoungBoy Invites Lil Baby & Plies For New Track "Cross Me"
YoungBoy Never Broke Again is dropping another new project tonight. You read that correctly. This marks a handful of full-length projects from the rising rapper in 2018 alone. When the clock hits midnight, Realer will officially be live and a new slew of NBA YoungBoy songs will be made available for streaming. A few of the tracks have been made available on YoungBoy's SoundCloud before hitting all of your usual platforms, giving a taste of what we can expect. It doesn't appear as though we can anticipate a lot of features but on "Cross Me," we've got both Plies and Lil Baby connecting with the Baton Rouge rapper. NBA starts off the cut as we're met with a Plies verse before Lil Baby starts up a lengthy section. A few highlights in the song come from Baby as he claims he carries Dracos like "chopped cheese." While some rappers may brag about banging out hundreds of tracks in the studio, YoungBoy is really out here releasing everything. He's probably got some heat in the vault too. "Cross Me" is just one of a few Realer tracks to appear prior to the official release. How are you feeling it so far? NBA YoungBoy Reflects On His Situation On "Survivor"
SONGS NBA YoungBoy Invites Lil Baby & Plies For New Track "Cross Me"